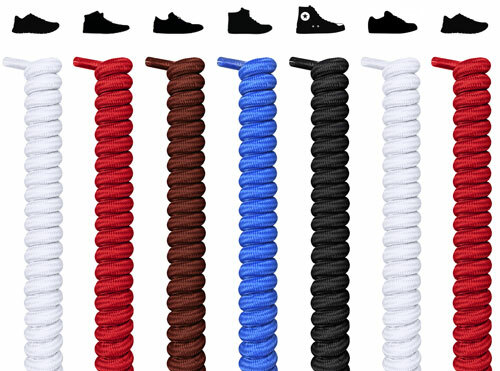 We don't pretend to know why someone is buying a pair of kids shoelaces, but often times it's because the pair that came with the shoes were too long, too short, not nearly durable enough, the wrong color, the wrong material, the wrong size, or the wrong style. Again, we don't pretend to know, so we cover all the bases, just to be safe. 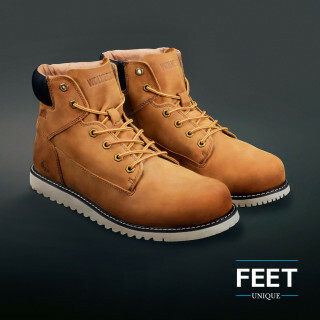 This is where you'll find your perfect pair, where all the specifications are met to a tee, and exactly what you see on our digital store is exactly what you get when you open the physical box. 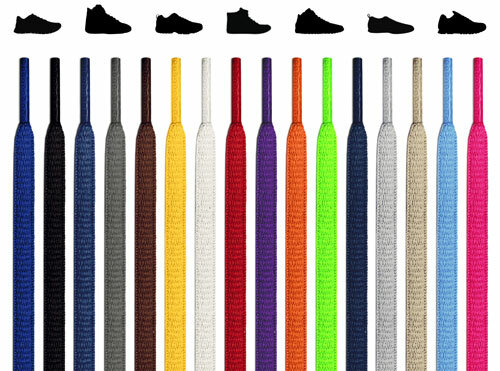 We sell muted and standard colors that wouldn't catch someone's eye (unless they're a shoelace aficionado who recognizes quality at first glance.) 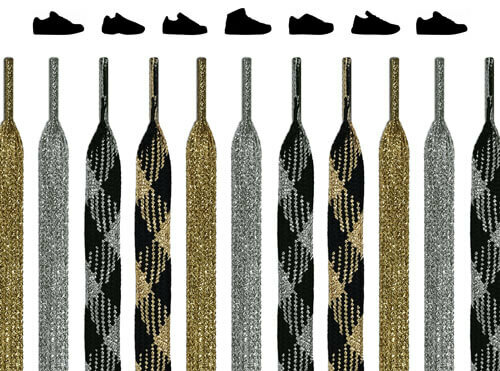 We also have gold and silver metallic shoelaces as well as glitter shoelaces, which have turned the heads of astronauts in space while they were working on a satellite, or so we were told by NASA. 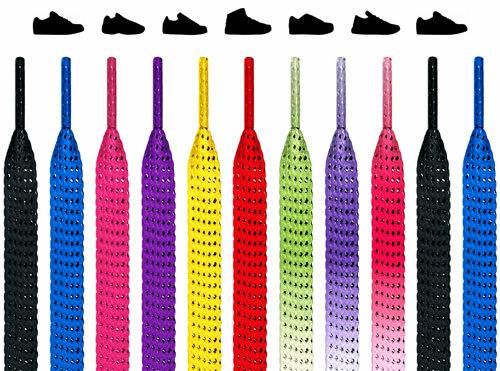 Whether they're straight-laced, utterly creative, born-to-be-a-fashionista, or their taste is so unique it's indescribable, you can find their dream kids shoelaces, right here. 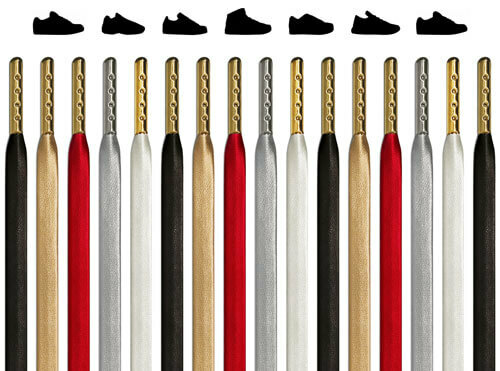 Shoelaces for kids run the gambit, meaning most of the shoelaces are what you imagine when you picture laces, but some are, dare we say, revolutionary. 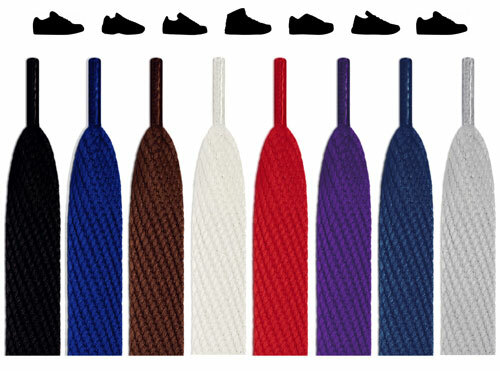 Take the curly shoelaces for example, or the elastic no-tie shoelaces. They keep the feet secure without needing to tie, and can be easily adjusted on the fly with a simple pull to tighten or loosen. 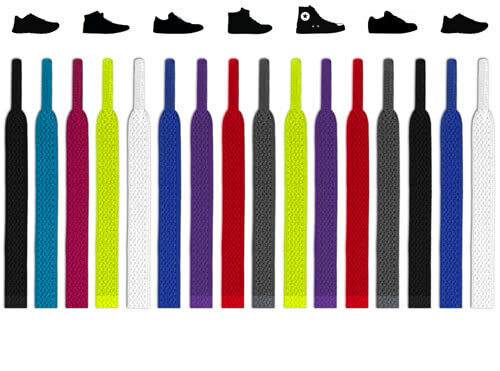 Every pair is sold in the standard width so that, more than just a little conveniently, they'll slide through the eyelets of any pair of shoes, but beyond that, you can find laces that could make your life or your child's life (or both) just a bit easier. 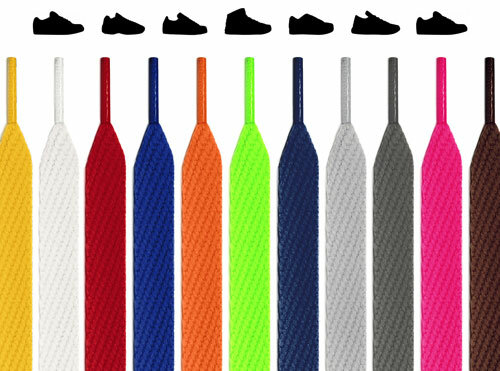 Don't be afraid of the fray — with our laces, it just doesn't happen. 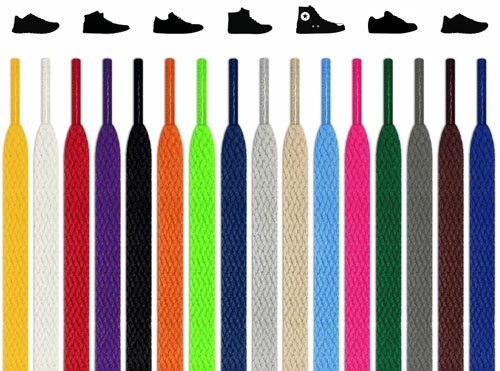 We deliver only the highest quality, most durable kids shoelaces, so whether they find themselves splashing in a puddle or playing in mud or having a water balloon fight but the balloons are filled with mustard, at least their shoelaces won't be ruined! And by designing our laces with extra friction, once they're tied securely, they do not come undone. Listen, it's not like we don't have kids ourselves. We know that you're buying clothes one size too big so that they'll grow into them, and even still, six months later and it's time to go shopping again. 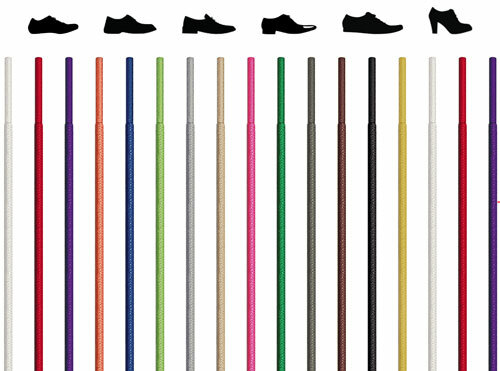 At FeetUnique, our laces might last forever, but we don't charge like they do — with free shipping and great prices, we don't just have kids in mind, we have parents in mind too. Our kids will grow up in our world, so we think it's up to us to do our part to make that future world a little cleaner. 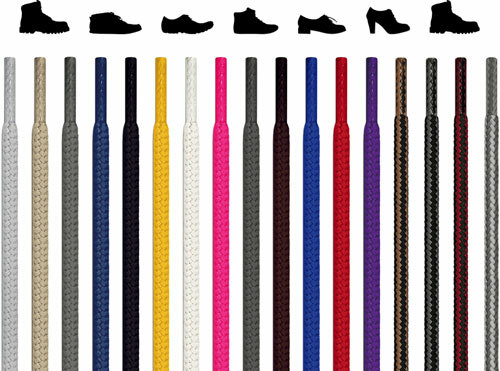 That's why all of our shoelaces are certified STANDARD 100 by OEKO-TEX®, a distinction that you can read more about here.